Get backup you can depend on in the field with the Swiss Arms Colt 1911 Belt Holster. 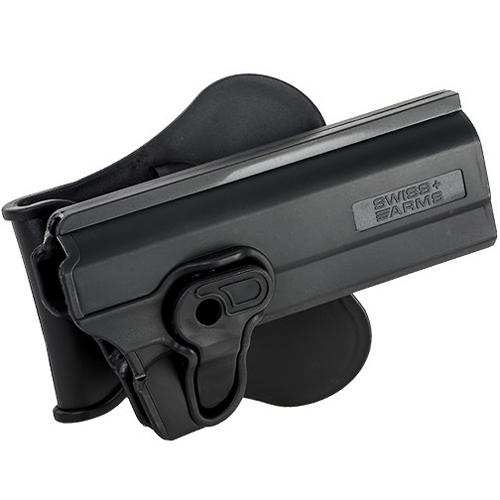 This sturdy holster features durable polymer construction and can be adjusted to allow for different applications. The quick lock/release button makes it easy to quickly draw your weapon in combat. Weighs approximately 454 g (1 pound).